Please select an option Size - 6 Size - 7 Size - 8 Size - 9 Please select a Size. Platinum plated Silver and Golden band with a Solitaire Crystal in the center that sparkles from all angles and makes this band precious. 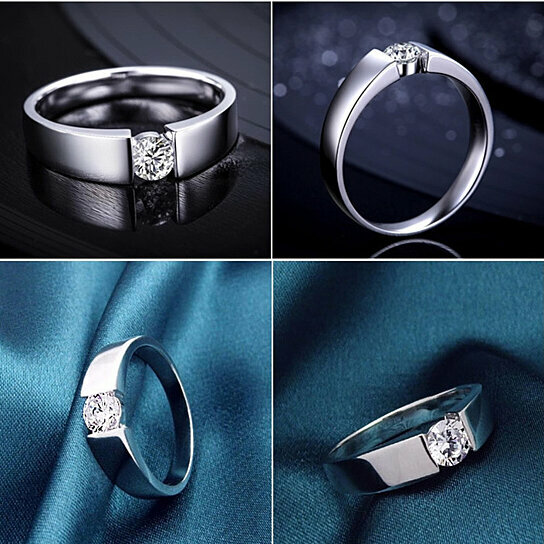 The ring comes in sizes 6, 7, 8, and 9. Great for gift giving, each comes in a gift pouch.